InMyOpinion Fashion Forward or Fashion Flop? UK Pretty Little Thing. Why oh why would you do this to us?! I mean girls this is a swimsuit with a bit of fabric at the bottom. Would you go out in the UK on the high street wearing a swimsuit? (Probably not, or so I hope). I like to look through these websites imagining where I would probably be so let me think... It's a hot day, i'm going to pop into town, my phone rings and I'm stood outside poundland in this outfit hmmmm I think not. Also I can imagine this is not safe to wear when auntie flow visits!! 2. 'Kim K Style' Mocha laced front body suit. £20. What could I spend £20 on? A night in with the girls booze included, a trip to the cinema, quite a few lattes. Yeah they all seem like a good idea. A laced front off brown body suit because Kim Kardashian was seen in something similar? Naaaa, I'm alright thanks. I get irritated when these shops make so many clothes and picture them without bras. Why? Some of us have large chests and a lot of girls do not feel confident enough to leave the house bare chested! I'd give these a miss and grab a latte! Destiny's Child called, they want their dress back. I mean come on! If looking like a rusty wet pole doesn't put you off, the fact that no one that isn't still in 1997 would wear this!!! If we are going to be honest, does this or does this not look like one of those cheap shiny dresses you see hanging from the ceiling in pop up clothes shops all around Croydon market? This is just a big no from me. This is the most expensive item of clothing in this blog but my oh my, how classy?! I love this. I love any outfit that is an all in one, effortless and simple. With this being white it will look fab with or without a tan. Dress it with silver, gold or wear it alone. You can accessorize this and totally make it your own. I think this is a great summer evening outfit and would look awesome with a big felt sunhat. Ooo mama like. Let me just put this out there, we live in the UK. As much as we'd love to say we're from St.Tropez or LA we're not. 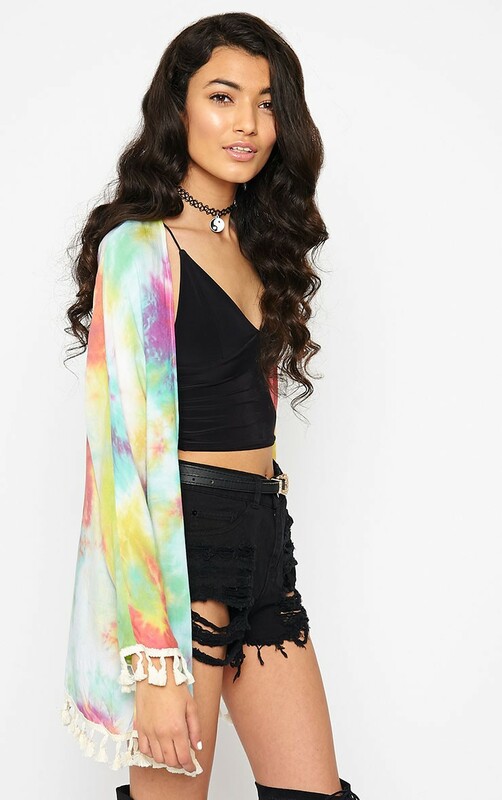 That's why this Kimono is a beaut. We all need a little cover up now and then because it can get chilly on the island. I like this because it's not plain, it has all the colours of summer and it has tassels! Who doesn't like tassels? 3. Ditzy print palazzo pants £20. 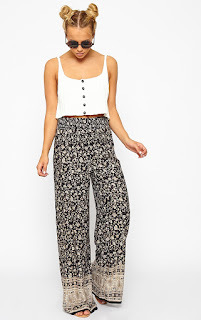 I could not love wide legged trousers anymore than I already do. They're fab for when it's hot, they're great for if you're not into skin tight jeans and they're so easy to style. A cute plain cami and belt and some flip flops and you are good to go. I think these are a staple summer piece, chuck em on for that picnic in the park and look hippy chic in seconds, need I say more? Awesome. 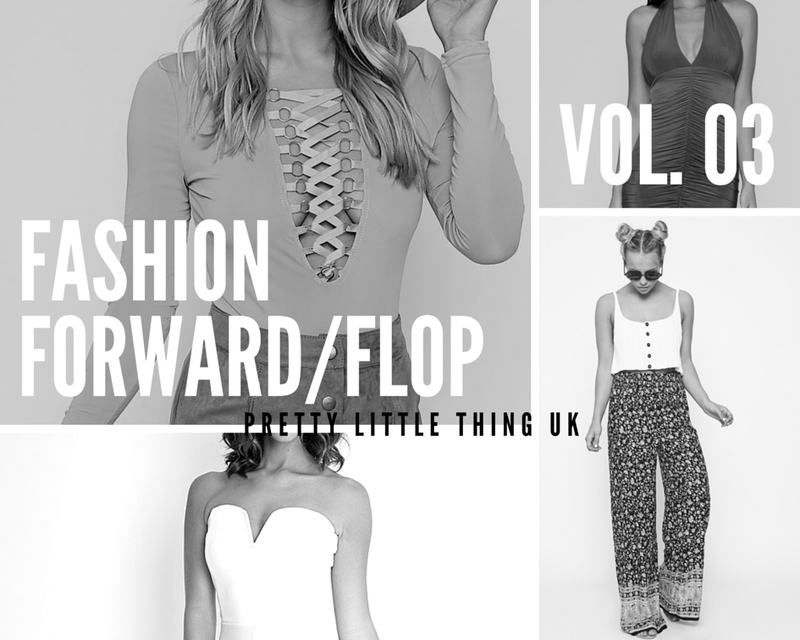 To get any of these outfits go to https://www.prettylittlething.com.